In the first part of our three-part Tip sheet on the perfect way to name your new baby, we explored how you can select from a wide array of both traditional and contemporary baby names. We also told you how to ensure that the baby name you eventually select has no implied undertones or embarrassing abbreviations. The baby name you choose should also be meaningful and should reflect the personality of your baby to the extent possible. We have a few more wonderful baby naming tips for you which will bring a smile to your face and joy to your heart. Choosing a suitable name for your baby is most certainly the pinnacle of parenthood. It involves positive anticipation and a sense of accomplishment matched with moments of togetherness within your family. A few timely steps can prevent future difficulties and adjustment-related situations. Most of us seldom have any control over our last names. We are born with it and cannot change it unless absolutely essential. The first name, however, is an entirely different story. The sky is the limit and the choices are infinite. Your baby boy or baby girl exercises this unique ability through you. Therefore, if your last name happens to be a long one such as Dimitriowich or Sanheizer-- If your last name is longer than average, a short first name is suitable. They are easy to pronounce and remember. When your baby grows up, he or she will have to complete complex application forms with preset blocks for the name. Excessively long names tend to run off the page thus leaving the information incomplete. While we are discussing the concept of first name-last name compatibility, here is another important perspective that you should consider. The first name you choose should match your last name. For instance, "John Smith" and "Robert Jones" are fine although common but "Nightingale Bird" isn't. Choose a first name for your baby that doesn't sound like an anti-climax when used with your last name. The combination should both sound nice and look good on paper. If you have immigrated from your home country and have finally arrived in your land of dreams and opportunities, an ethnic name which reflects your original culture just might pose a minor challenge or two. There is no harm in trying to preserve your baby boy or baby girl's cultural roots and ethnic identity by selecting an ethnic name from your culture. However, just make sure that it is easy to spell, pronounce and remember in your new home. At the same time, you will have to ensure that the name doesn't have a negative or mirthful connotation. Here is an interesting example. The Sikh community from India is well represented in most parts of the world and are known for their unflinching adherence to their cultural values. A very common baby girl name in this culture, "man Phool" means "the flower of the human mind." If the Sikh family has immigrated to an English-speaking land such as South Africa , Canada or Australia , her playmates would probably call her "Man Fool." Not too kosher, right? One of the last things your baby would like to do when he or she grows up is having to explain the spelling of the name repeatedly. Hence the advice - KISS or "keep it sweet and simple!" Choose a name that suits your baby's disposition and spell it intuitively. Changing the name's spelling to give it that unique touch of individuality and identity is a good idea that doesn't work that well in the real world. Naming your baby girl "Cathy" "Kathy" "Cathleen" or "Kathleen" are all OK since all versions are common but if you choose to spell her name with an "ie" such as "Kathie" or "Cathie" your daughter may have a little explaining to do in the future. Deciding on your baby's name is a major judgment call which will undoubtedly have life-long implications. if you happen to experience indecision about your baby's name, do not let it concern you that much because this is perfectly normal. It is just a matter of time. Conduct the search and ask for recommendations. 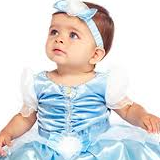 You will finally arrive at the perfect baby name for your son or daughter before you know it!